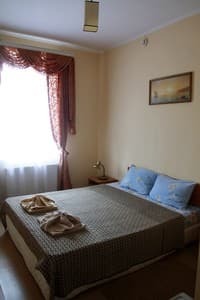 Mini-hotel "Palais" is located in the center of the city of Chernomorsk near the city market "Morning", distance to the sea - 1,2 km. 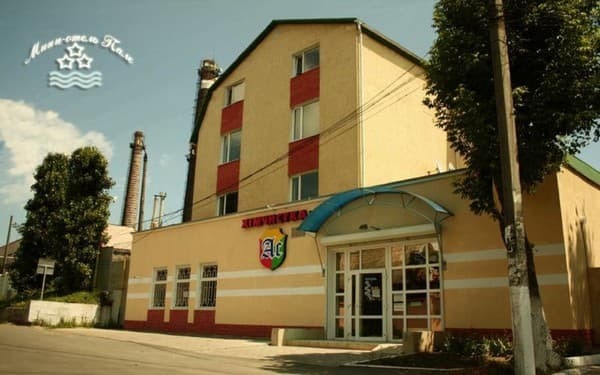 The hotel offers accommodation in 13 comfortable rooms with single, double, triple and quadruple accommodations. 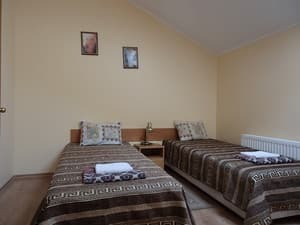 Each room has a bathroom with a boiler (hot water), plasma TV, free Wi-Fi, satellite TV, refrigerator, air conditioning / heating in cold weather. The hotel has a small kitchen with a kettle and microwave. 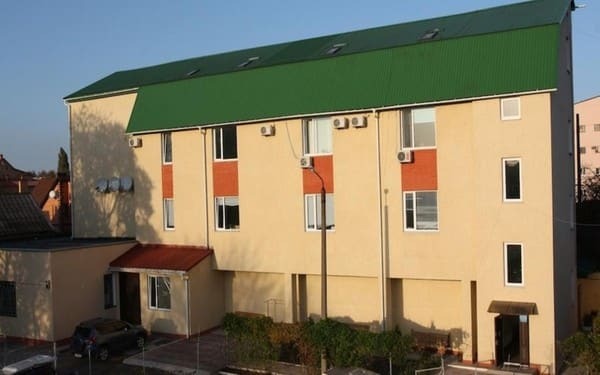 Description of the room: In the rooms there is a comfortable bathroom, plasma TV, satellite TV, a fridge. Upon request, an iron and a hairdryer are provided. 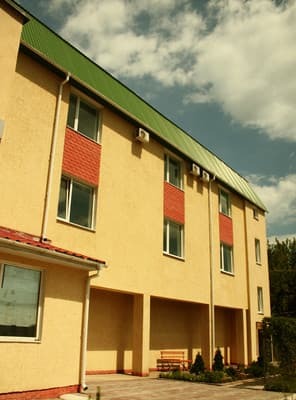 Description of the room: The rooms have a comfortable bathroom, plasma TV, satellite TV, refrigerator. Upon request, an iron and hairdryer are provided. 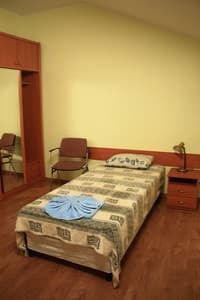 Description of the room: The rooms have a comfortable bathroom, plasma TVs, air conditioning, satellite TV, a fridge. Upon request, an iron and a hairdryer are provided. 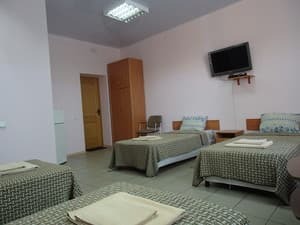 Description of the room: The rooms have a comfortable bathroom, plasma TVs, satellite TV, air conditioning, a refrigerator. Upon request, an iron and a hairdryer are provided. Description of the room: Cozy room with everything you need for a comfortable stay. In the room: air conditioning, refrigerator, TV, table-transformer, chest of drawers. Large bed and double sofa. Upon request, an iron and hairdryer are provided. Читал предыдущий комментарий, сравнивать цены в Закарпатье и в Одесской области - нонсенс. 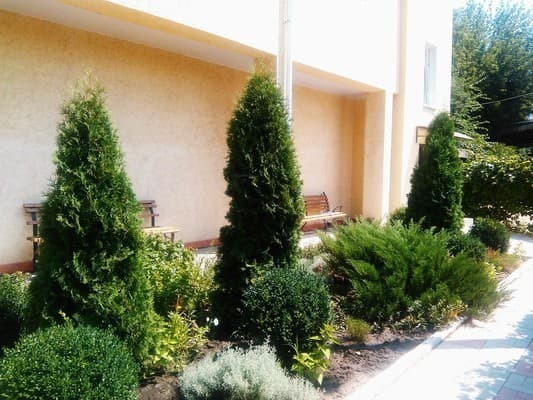 В Закарпатье цены на ВСЁ значительно ниже. Но и уровень заработка соответствующий. В городе же этот отель самый дешёвый, но над комфортом поработали не меньше, чем в более дорогих отелях. Проверено. Мелочи. В принципе их нужно искать под микроскопом, если очень сильно хотеть найти. Хороший, чистый отель за разумную цену! Подниматься пешком на 4 этаж. тихо, спокойно, чисто. Приехала утром, пошли навстречу заселили раньше. Город Ильичевск понравился. Спасибо. Будем всегда у Вас останавливаться и друзьям рекомендовать. Отдаленность от моря компенсируется ценой на такси. 10 гривен такси от гостиницы до пляжа. Думала что таких цен уже нет. The hotel guest can order meals at extra cost, if desired. 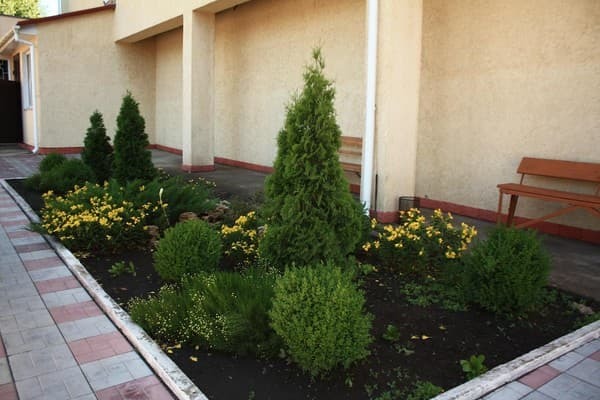 The center of the city of Chernomorsk near the city market "Morning" and the park "Youth". The distance to the railway station in Odessa is 26 km. From the railway station, shuttle bus number 25. From the market "Privoz" to Chernomorsk - a fixed-route taxi №80 and №70.